Remove blackheads and actually shrink the size of pores with Bior Blackhead Eliminating Deep Cleansing Pore Strip. From a dermatologist tested brand, these deep cleansing nose strips instantly targets blackheads and instantly unclogs pores for healthy looking skin. Convenient and easy to use, these Pore Strips can be used 1x per week for the deepest clean. Unlike other wannabe pore strips , ONLY Bior Deep Cleansing Pore Strips use patented C-bond technology to bind to blackheads and impurities NOT to skin. These strips work like a magnet to safely and effectively remove dirt, oil, and even stubborn blackheads. Bior Deep Cleansing Pore Strips leave skin feeling cleaner and pores visibly smaller in just 10 minutes. Trusted, dermatologist-tested way to remove blackheads and purify pores. #1 Trusted Blackhead Eliminating Pore Strip! Instantly unclogs and purifies pores for the deepest clean. Available in 14 or 24 count. Proof you can see on the strip, it may be disgusting... But it's also oddly satisfying. With continued use actually reduces the size of your pores! DYK Blackheads don't discriminate, and can pop up anywhere on your face. Nose strips are designed for nose, while face strips can be used anywhere clogged pores might appear. Both remove deep down dirt, oil and even blackheads. Designed to bind to blackheads, NOT to skin! With patented c-bond technology this strip is suitable for all skin types to use 1x per week. Dermatologist Tested, hypo-allergenic, oil-free, vegan, cruelty free. #1 Trusted Blackhead Eliminating Pore Strip! Instantly unclogs and purifies pores for the deepest clean. Available in 6 or 18 count. With Natural Charcoal, pore strips remove deep down dirt, oil and blackheads, leaving skin feeling fresh, clean and 3x less oily. 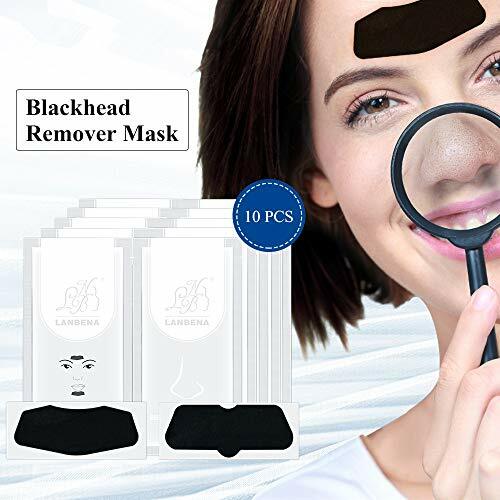 Designed to bind to blackheads, NOT to skin! With patented c-bond technology this strip is great for oily skin to use 1x per week. Dermatologist Tested, hypo-allergenic, oil-free, vegan, cruelty free. Looking for a simple acne treatment that can help restore your skin quickly? Let's face it - getting pimples can get extremely annoying, especially if you have an upcoming dinner or a party to go to and you need to look your best. With the many anti-acne brands in the market today, it can get very confusing and slightly overwhelming to choose which treatment is best. One that acts quickly, discreetly and will also prevent scarring though is always a good choice. 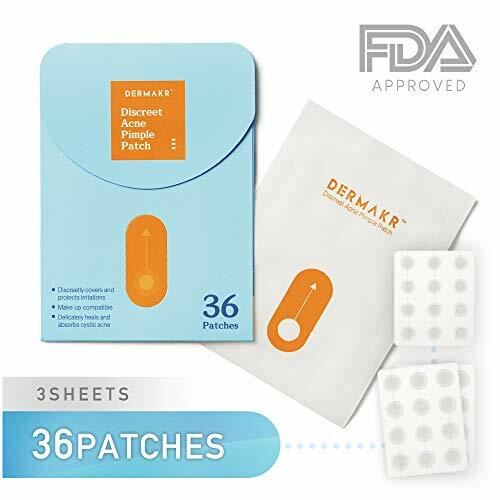 The DERMAKR Discreet Acne Pimple Patch is an effective acne healer meant for you. 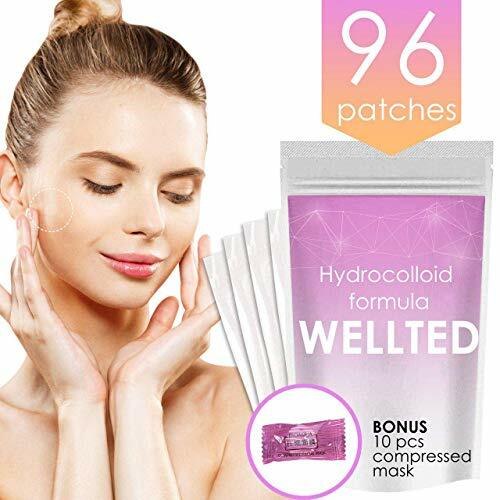 A thin, clear and rounded shape patch laced with non-chemical, skin safe, hydrocolloid material that is effective in healing acne; it can clear up your pimple as fast as a few hours or even when you wake up the next day. Just simply place the patch by sticking it on to the pimple directly. It will then start absorbing all the pus, bacteria, irritants, dirt and other liquid discharge within, soothing the irritated skin while protecting it from further infection, damage, and scarring. The patch is so lightweight that you'll forget you placed it on your skin. It reduces oiliness, redness, and pigment changes and prevents you from continuously touching the pimple - which all help to speed up healing. It is waterproof and practically invisible so you can go about your day normally without having tohide your healing pimple. 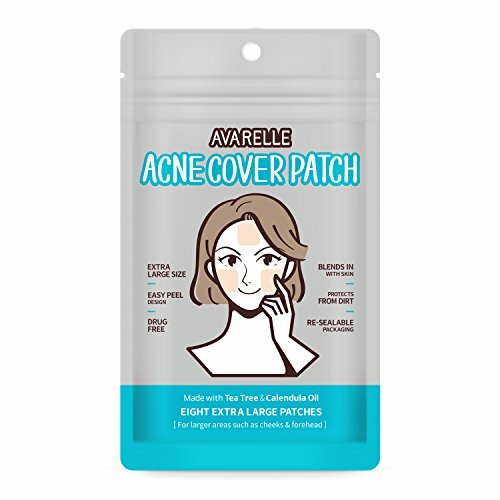 Here are more benefits when you purchase this pimple patch: It is so lightweight you can continue to wear your makeup even while wearing the acne patch. It is both an FDA and CE certified anti-pimple patch to further ensure your safety. You'll stay 100% bacteria free since hydrocolloid sheets are anti-bacterial. So enjoy clear, acne-free skin with the pimple patch and Click "Add to Cart" Today! 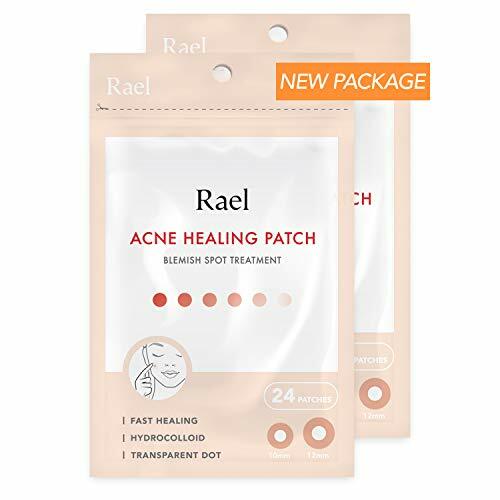 HEALS PIMPLES QUICKLY - This anti-acne patch will fix pimples quickly by drying them out and absorbing all the pus, bacteria, irritants, dirt and other liquid discharge within and through the different layers of your skin, leaving an optimum healing environment for the skin to repair itself. 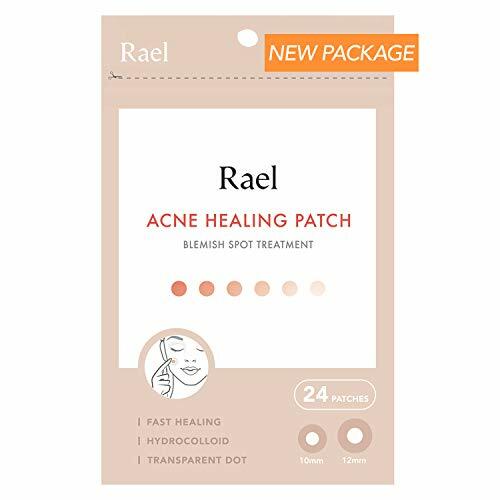 PREVENTS SCARS - Stay scar free while removing your acne when you use our pimple patch. This hydrocolloid patch soothes the irritated skin while protecting it from further infection, damage, scarring and scabbing over. The spot is also covered, preventing you from scratching and picking at it. 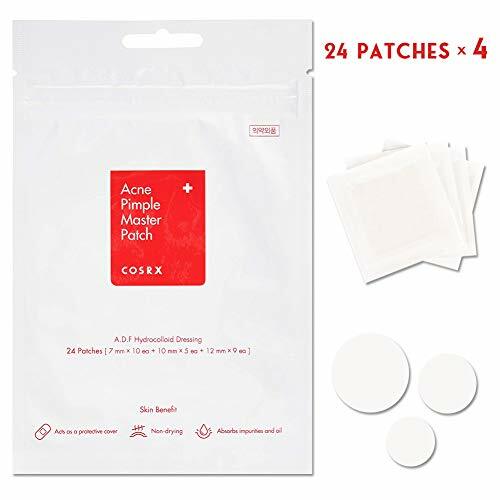 INVISIBLE PIMPLES IN AN INSTANT - Each discreet patch is made out of super, ultra-thin Hydrocolloid sheets, a biodegradable and transparent wound dressing. It covers the pimple, masking unwelcome outbreaks as the hydrocolloid sheets does its magic and continues to keep healing your skin. DISCREET & LEAVES NO TRACE - Enjoy the absolute ZERO attention you and your pimples will receive - even from those you spend the whole day with - when you wear one of these acne dots. It is so thin and light that you'll forget it exists right there on your face, working hard to heal your skin. 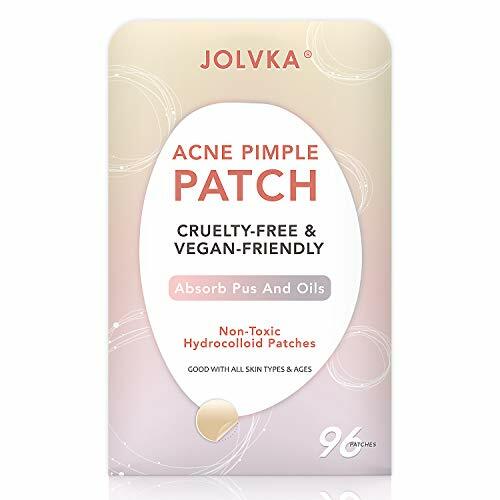 AN ACTUAL CURE - This pimple patch is not just a pimple symptom treatment - but is also known to be an actual cure for acne in general. The Hydrocolloid material reduces oiliness, redness, and pigment changes while the physical patch keeps your hands off the pimple cosrx -which all help to resolve acne. Our easy-peel acne stickers help cover pimples all day and night. Pull the plug on clogged pores, once and for all. 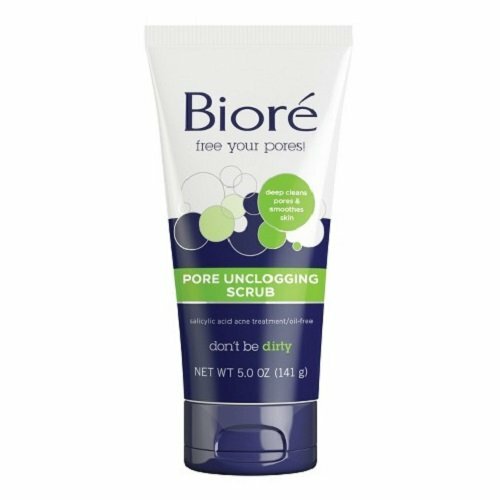 Biore Pore Unclogging Scrub gently exfoliates skins and deep cleans pores for smoother, clearer skin. Formulated with acne-fighting salicylic acid and spherical beads, the scrub penetrates deep into pores to clear away blemish-causing dirt and oil and smooth dry, flaky skin from the surface. Future breakouts are stopped before they can even start. Use it every day for clearer, smoother skin. Squeeze a small amount of product into hands. Massage over wet skin in small circular motions, avoiding eye area. Rinse thoroughly, avoiding eye area. Pat dry. Biore Skincare targets the root of all skin problems the evil clogged pore. So when it comes to dirt and oil we take a no nonsense approach to fight smarter, not harder. Our scrub, liquid, powder, strip, mask and bar cleansing products go straight to the source of those pesky pores for deeply clean, beautiful skin. Pimple Patches Are the Surprisingly Satisfying Way to Shrink Your Zits Overnight! USED FOR- Get rid of the abominable pimples instantly with our revolutionary acne patch. Whether oily, dry or mild, this acne patch is good for all types of skin of all ages. the pore thoroughly. They also act as protective covers against dirt and reduce the urge to squeeze. EASY TO USE PATCHES- Speedy solution anti-trouble care acne patches are profoundly easy to use. that the patch is working when its color changes from translucent to white. 1.Clean the affected area with water, remove any makeup and let the skin dry. 2.Tear patch from protective film and apply on the problem spot. 3.Press the edges of the patch to fully secure and contain the affected area. 4.Remove and replace with a new patch after 8-12 hours. 5.Apply the product before sleep for optimal result. The Acne Patches have highly absorbent layer which helps dry out spots and get rid of excess fluids, grease and other impurities. Hydrocolloid sticker that absorbs pus and gunk from your pimples and helps speed up healing in a matter of hours. 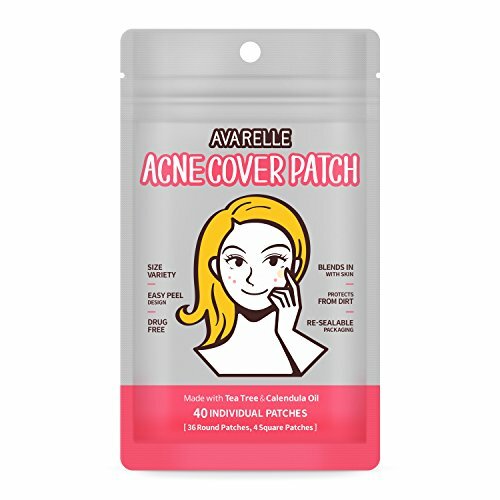 Highly-adhesive and waterproof acne patch that invisibly protects affected areas and prevents scarring. We offer 100% satisfaction guarantee to customers. If you are not satisfied with our acne pimple patch, we will give you the full refund. Use strips immediately once opened. Avoid using around the eye and do not use on other areas of the body. Do not use Facial Pore Strips more than three times in any one week on the same area of the face. Nose Strips should be used only on the nose. Avoid using Face Strips around the eye area. 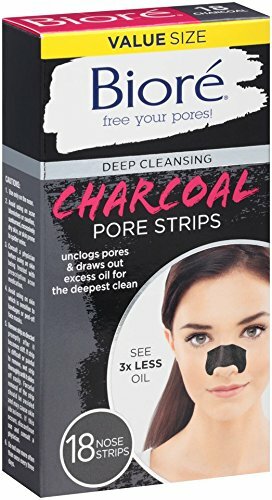 How Can We Use Pore Strips Correctly? 1.Wet your face and then dry your hands. 2.Remove the clear backing sheet and apply the strip smooth side down to your face. 3.Press down firmly to ensure the strip sticks. 4.Leave the strip to dry for about 15 minutes. 5.When the strip starts to feel stiff, gently peel it off and discard. 6.Rinse off any residue with warm water. BLACKHEADS We all have them and would like to get rid of them once and for all,there's nothing better than ripping that strip off your nose and seeing a little forest of pore junk. PORE STRIPS The Nose strips is a unique method to help extract blackheads while pores will be cleaner and less visible. CLEAN SKIN Deep cleansing Pore Strips contain antibacterial Witch Hazel to help keep your nose skin clear and healthy. 100% MONEY BACK GUARANTY 90 days money back guaranty!! No extra requirement. 12 month quality warranty and replace new one. This hydroolloid dressing inlensively extracts impurities while creating a protective barrier that guards exdemal imiants. For natural look by covering blemishes during the daytime, please use COSRX Clear Fit Master Patch. Emergency & Versatile & Concentrated care with various sizes - 7mm, 10mm, 12mm. Convenient use,Adhere directly to the skin and extract all the pus and impurities straight from the source. 3. Replace the patch with a new one when it turns white and has absorbed oils. 1. Stop using and ask a docdor if rash occurs. 2. Keep unused covers in the plastic pouch. 3. Store in a cool place, avoid direct sunlight exposure. Material: This Made with high-grade hydrocolloid, hydroolloid dressing inlensively extracts impurities while creating a protective barrier that guards exdemal imiants. Promise: MFD (Date of Manufacturing),The date on the back of the package stands for Manufactured Date, not expiration date.Please be assured that the use of! It is time to say goodbye to your blackhead! thoroughly solve problems concerning pores on the nose. 1. Wash your face firstly. 3. Apply the mask to your Chin / Forehead / Nose Are evenly. Smooth it without any bubbles or creases. 4. Wait for 5-10 minutes for dry, then peel it off. Clean up with warm water. 1.For external uses only. Avoid contacting eyes or injured skin. 2.Store them in a cool and dry place, away from direct sunlight and high temperature. 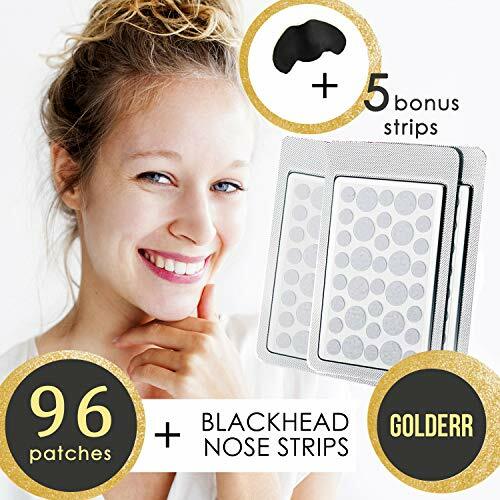 Effective Blackhead Pore Strips: Containing with 5 Nose Strips+ 5 Chin Strips. Every strips is packed individually. Peeling Blackhead Mask: These easy-to-use strips will deeply clean pores, remove dirt, excess oil and debris, remove blackhead, zits and acne. Say goodbye to your blackhead easily! 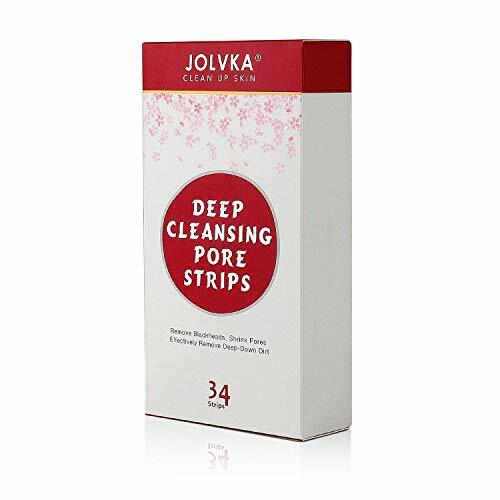 Rich Natural Ingredients & Anti-Bacterial Ability: Rich with Hazel Extract and Bamboo Charcoal, these pore strips could remove dirt and oil from your pores that can cause blackheads to achieve the deepest clean. Vegan, hypo-allergenic, oil-free, and cruelty free. These pore strips could remove blackhead while leaving your skin feeling fresh and clean. 30-DAY MANUFACTURER GUARANTEE: Come with 30 days guarantee and friendly service,any questions or ideas, please feel free to contact us. Health and beauty products are very easy to use nowadays. 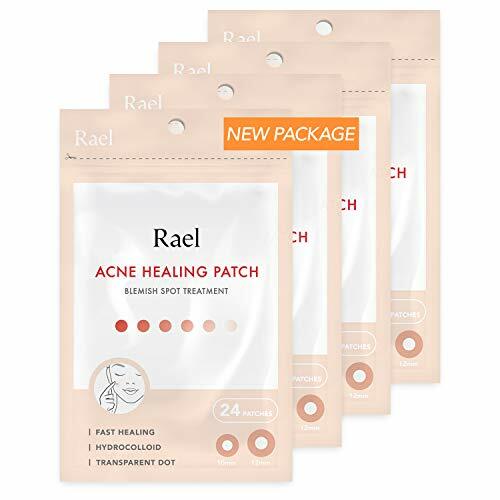 Zit patch or acne stickers is one of the newest whitehead removers that made revolution in beauty products for women because of tea tree oil extract and you`ll forget about acne scars. You don't need to use pimple popper tool or pore vacuum any more. 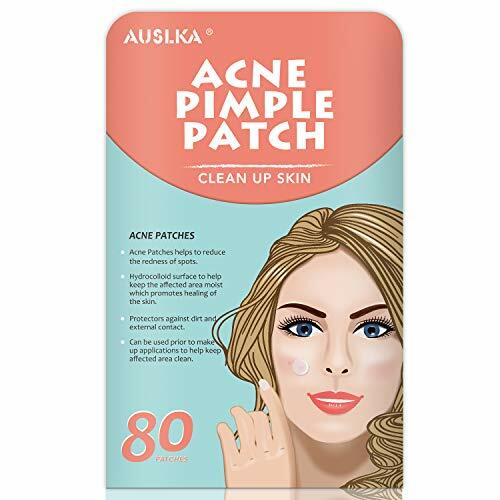 Use Acne pimple patch without instrument at all - its more useful in any way. You can use pimple sticker anyway anytime. It helps with oil skin control, and keeps away the dirt. Wash your face with acne soap or face moisturizer for oily skin and put the patch on for spot treatment. It acts like the hydrocolloid bandage. One of the best things that it's not only women product - it also works great as face wash for men and acne treatment for kids. Whether oily, dry or mild, this acne patch is good for all types of skin of all ages. 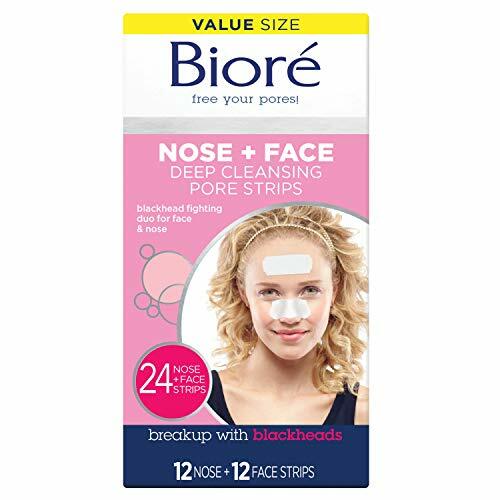 To remove all the dirt from the pores just use the nose strips for blackheads. If you need to make your skin perfect in the case if you have important meeting, date or another occasion here's a few steps to make your skin perfect with our set of acne dots and nose mask: First, wash your face. Second, put on the blackhead strips to best face peel effect. You don't need to combine it with black head cleaning vacuum tool to remove the dots in the hardest parts. Third, wait for the nose strip to dry and pull it from the corners to center with one move. And the last one - put your makeup on and be confident in the way your skin looks like all the day! You can combine pimple patches with blackhead nose strips to achieve the best effect. Among all the skin products this is the best option to heal everything.  ARE YOU LOOKING FACIAL PRODUCTS FOR BLEMISH SOLUTION? Acne Pimple Patches it's the new way to make your skin beautiful. Acne treatment needs to be invisible and effective and pimple patches that's exactly what you need to make your skin perfect. 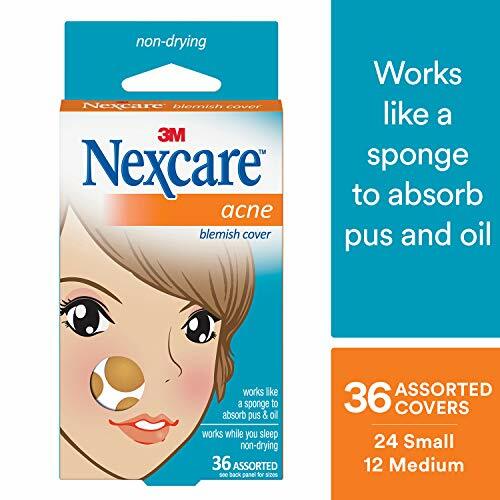  IT'S EASY TO USE: Just wash your face and put acne patch on - it can work for 24 hours. Day or night - you can use them anytime. 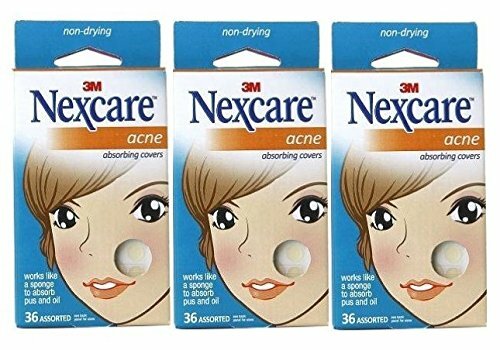  BEST SET FOR YOUR SKIN: No more acne cream and pill off masks that hurt your skin - pimple patches and blackhead remover strips - it's the best acne spot treatment tool. It makes all the wounds invisible and makes it best in skin care tools and totally remove acne from your face.  IT'S SIMPLE & EASY TO USE: Nose strips it's the best way to remove all the blackheads if you have no time to all the skin vacuum devises.10 mins and no efforts is all you need to make it. You shouldn't touch your pimples!!! and a no-longer-translucent sticker. If the patch turns hazy white, know that's all your gross face juice that's no longer your problem. How does it help acne? Hydrocolloid is a good protective sheet that's flexible and you can put over it to help encourage healing. absorbs exudate,Acne Master Patch turns translucent to opaque. Most work best when applied overnight!!! Comes in design of 3 different sizes (Small, Medium, Large) to choose from according to the size of the zit / Small (8mm) , Medium (10mm) Large (12mm) . Absorbs the gunk and impurities then helps flatten and heal cystic acne faster! Absorbs pus and gunk from your pimples and helps speed up healing in a matter of hours. We offer satisfaction guarantee to customers. If you are not satisfied with our acne pimple patch, we will give you the full refund. This acne removal kit combines 96 acne stickers and 10 face masks to the most effective spot treatment among beauty products for women. The pimple patches works like small hydrocolloid bandages and oil blotting sheets for face. While pimple sticker, mask works as an oil free face moisturizer for the complex acne wash.
Wash your face with facial acne soap, cleaning brush or face lotion and then put the pimple cream on. Just put your acne pimple patches on the acne dots and forget about them for 24 hours! As the home spa kit for girls this set allows you to relax with the mask and then put the pimple patch on and to be sure that you are beautiful all the day. It works great with all the beauty tools, cosmetics and almost invisible on the clean skin. Work, have rest and party all night without worrying about acne or dry skin. These sheet masks for face are one of the best health and beauty products. Face masks beauty it designed as daily moisturizer for face to make your skin perfect. Works well as a daily treatment for skin not only for women and for men too. No need at face mask mixing bowl set or mask applicator brush - just put it into water and wait until it gets wet - the face masks beauty process never been that simple. Your beauty and personal care was never that simple and easy.  WHY DO YOU NEED OUR PRODUCT? Pimple Patch - one of the best ways in the acne treatment. There's tons of skin care products but this one allows you to pull the acne treatment on the new level. 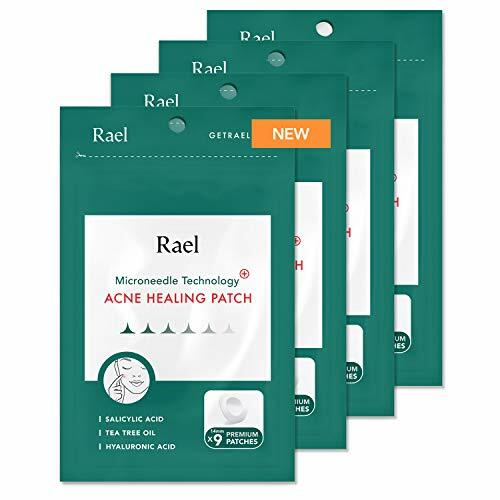  SAFE AND SIMPLE TO USE: No need at expensive acne face wash moisturizers and acne creams - acne patch will heal the acne and will work as the tiny sheet mask that will cover acne 24/7.  HOW IT WORKS? Patch works as the acne scar removal cream - but additionally it protects your skin from the dirt and absorbs all the water and oil.  BONUS FOR YOU: As a gift you'll receive 10 moisturizing face masks that are best in acne face wash and acne spot treatment.  COMPLEX SOLUTION: Use acne pimple patches with facial compress mask to reach the best effect. Skin care never been that easy!